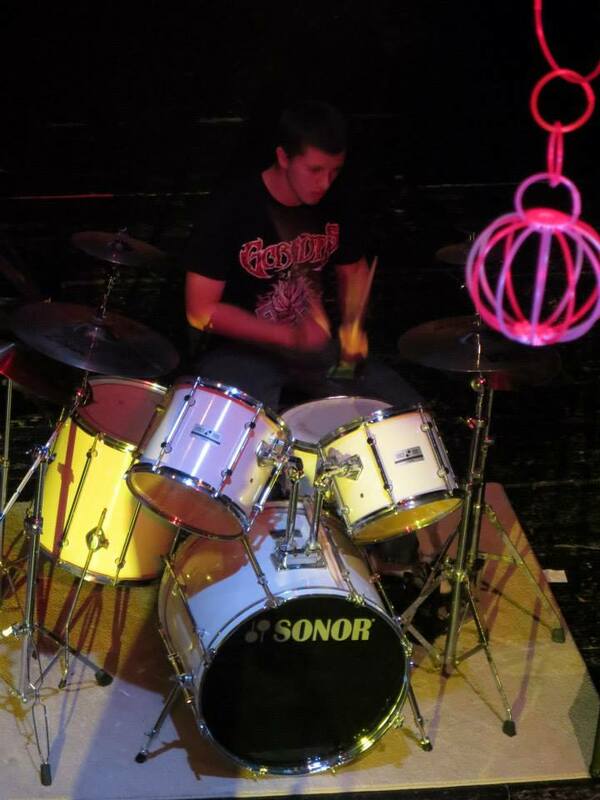 Produced entirely by the band and mixed by Neil Kernon. Cover art by Travis Smith. Sell your PROTOTYPE items on eBay ! If you like the music of Fates Warning or Psychotic Waltz, but feel that it lacks a thrashy 'bite', Catalyst from Los Angeles-based metal act Prototype may be right up your alley. Although I'm not yet familiar with the band's earlier material, this 2012 observation for Nightmare Records strikes me as an interesting and progressive take on the modern thrash metal genre. Catalyst does have a few noticeable setbacks, but the overall quality of the release makes this a very recommendable purchase for fans of thrash metal and progressive metal alike. When it comes to tying Catalyst down to a single genre tag, it can get a bit challenging. 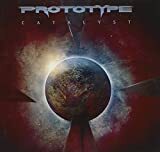 Although I would label Prototype's music as progressive thrash metal if I were asked to describe it, the band bears no resemblance to contemporary acts like Meshuggah, and also sounds quite different from the progressive works of late eighties' Metallica. 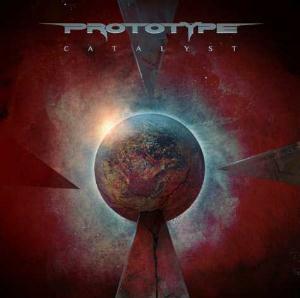 I get a bit of a nu-metal impression from Prototype's music, and a good portion of Catalyst sounds like a cross between Fates Warning, Disturbed, and Metallica - as a fan of all three of these bands, that's certainly not a bad thing at all, and I really dig the band's aggressive and modern thrash sound combined with a progressive attitude. While a lot of the music here consists of fairly conventional riffs, abundant time changes and sections with clean guitars add a progressive vibe to the music. A lot of the lighter portions of the album have a jazzy edge (this can be heard in some killer tracks like "Communion", "Gravity Well", or "The Ageless Heart of Memory"), and this diversity adds a nice change of pace to Catalyst's otherwise standard modern thrash sound. It's during these sections that Catalyst really shines, and if I could make one suggestion to Prototype for future releases, it would be to actually expand a bit on the progressive side of their sound - parts of Catalyst do lack memorability, and I think even more variation could help make the album's hour-plus running time here seem a little less daunting. Although Catalyst may have benefited from a slightly shorter running time, I think Prototype have still cooked up an impressive effort this time around. The band's very modern and progressive take on thrash metal is bound to have a wide appeal within the metal community at large, and it's this transcendent style that makes Catalyst an easy recommendation. While I can't comment on how this chalks up next to the band's prior offerings just yet, I can say that I'm impressed by this very solid and professional album. Post a review of PROTOTYPE "Catalyst"